Cadet 2.4m tender, Honda 2.3HP outboard (purchased 2017) and boat cradle are also available, by separate negotiation. This pretty, clean & tidy little cruiser has been looked after well by its current owners. Strongly built by Penpol Boatyard in Restronguet Creek, Falmouth, this long fin keeled, family cruiser is standing the test of time well. The decks and cockpit have been recently re-sprayed (2017) and look very smart, the sails appear to be in good order and she comes with a recently serviced Seago liferaft. Down below the design layout is also well presented. The upholstery is looking good as are the head linings. The galley is well equipped with a full cooker and a fridge. The hot water and cabin heating is supplied by a diesel powered Mikuni wet heating system with two matrix heaters and a calorifier. The heads compartment has an integral wet locker which also has a radiator. The current owners have had many happy hours sailing her for the last 17 years and are only now selling to move onto a bigger yacht for longer haul adventures. A great little family cruiser. 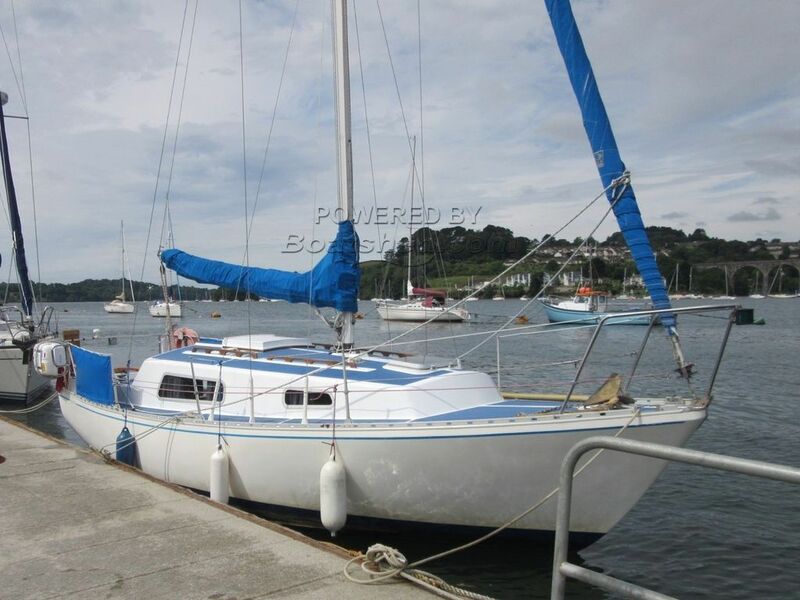 This Penpol 27 has been personally photographed and viewed by Jo & Billy Hallam of Boatshed Plymouth. Click here for contact details.